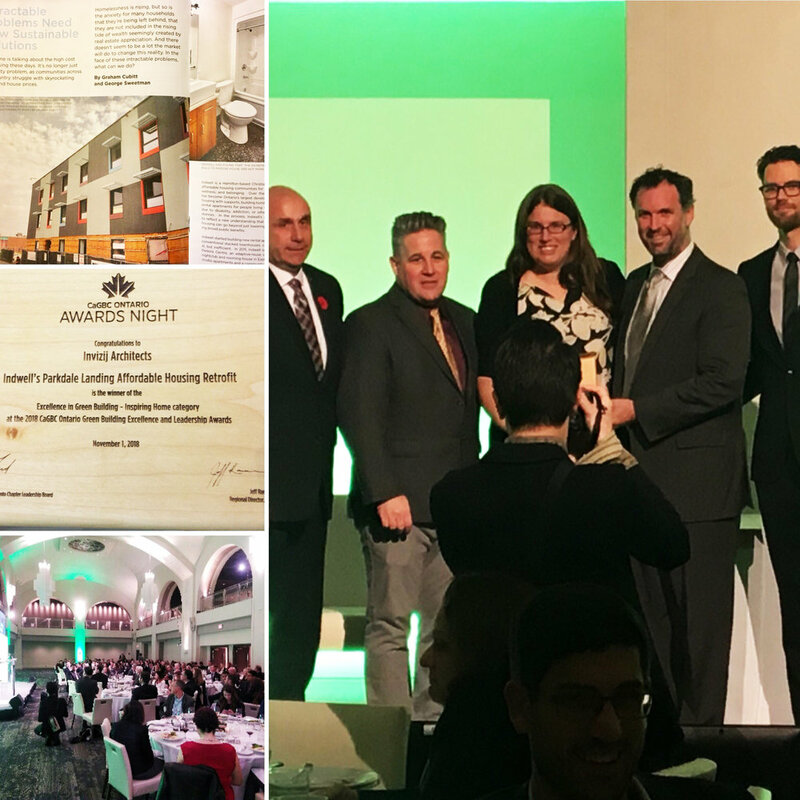 Indwell’s Parkdale Landing Project won the Inspiring Home Award last night from the Canada Green Building Council. The Fourth Pig acted as airtightness consultants and air barrier installers (and solver of air tightness details) on Parkdale Landing, which is to date the largest passive house retrofit in Canada. We worked with owners Indwell, the architect Invizij and the General Contractor Schithuis Construction to ensure the air barrier met or exceeded passive house air tightness standards. The building passed its air tightness requirements with flying colours (coming in at at 0.3 ACH at 50 Pascals)! Parkdale Landing is now 57 affordable apartments, with commercial space on the ground floor. Older PostLet it shine - solar news in "Force of Nature"